For a new bathroom vanity countertop, or a luxurious space designed just for you, Tops Solid Surface is your first choice for bath renovation. With thousands of bathroom remodels and renovations to our credit, our years of design and installation experience adds up to a remodeled bathroom with the style, value and affordability you’ve dreamed of. 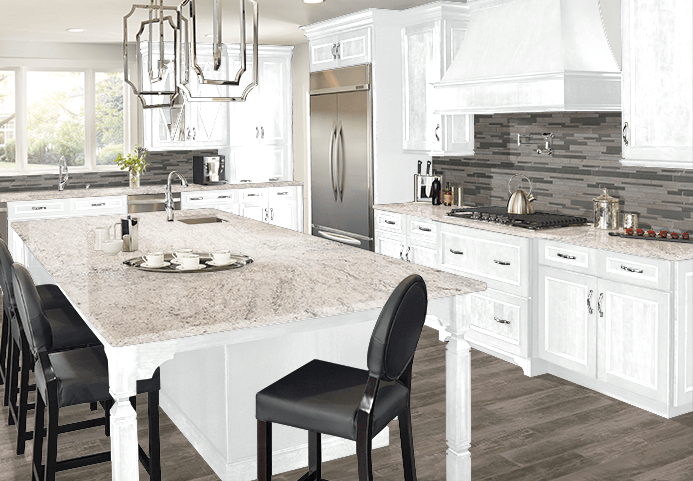 At Tops Solid Surface, we take as much pride in a simple countertop replacement as we do in a spectacular redesign and remodel. Whether your style is urban, contemporary, traditional, transitional, farm-house, or your own unique vision, our team of countertop experts will help you make it a reality. In our Design Center and workshop inventory, you’ll find inspiration for bathroom vanity countertops, tub decks, and showers to fit every budget, including stunning solid stone slab, tile, and environmentally friendly choices. For budget bathroom vanity countertop replacement, you’ll find over 1,000 deeply discounted remnants of natural stone and quartz to choose from, right here in our Olympia warehouse. With such a large stock we are certain to find a perfect choice for your bathroom vanity countertop replacement. 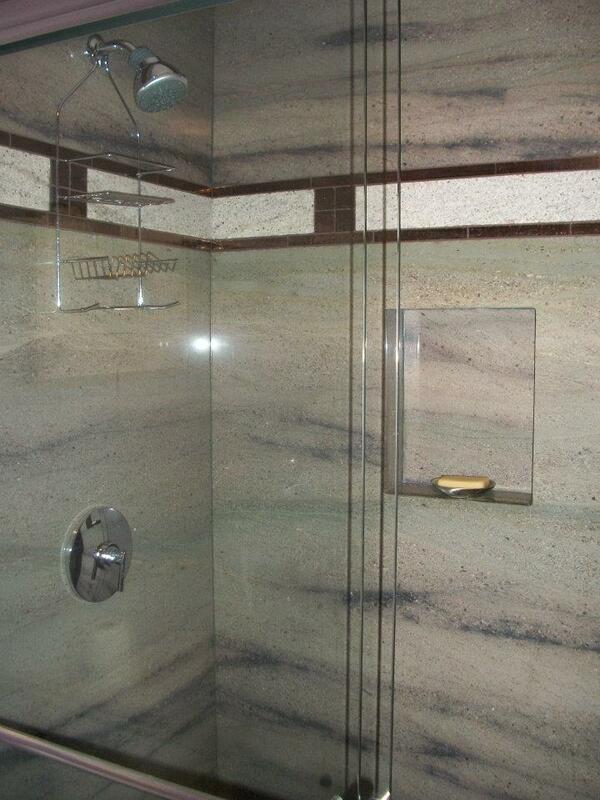 Your options for durable and beautiful bathtub and shower surrounds are almost limitless. Let us show you the quartz, granite, marble, and tiles to perfectly suit your bathroom renovation style. 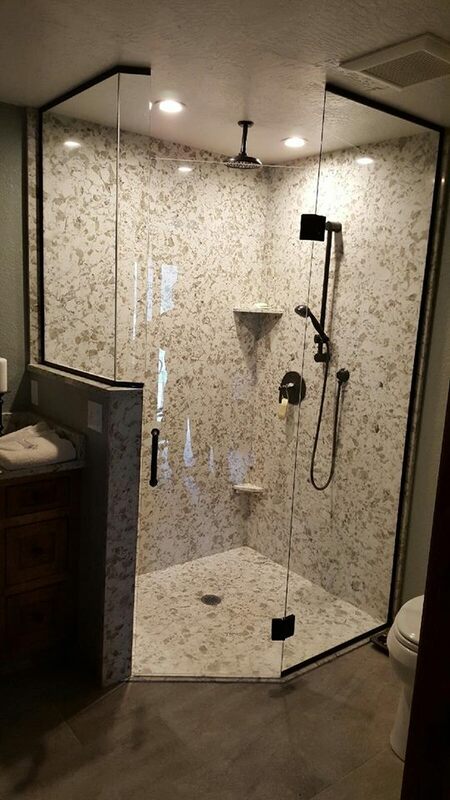 We offer a full spectrum of choices for standard or custom shower pans including slab quartz and granite, and beautiful tiles including popular pebbles, a signature Northwest Lodge-style look. The perfect fixtures and glass make your new bathroom a joy to use! Our designers can assist you with selecting the faucets, shower and tub fixtures, towel bars, warming bars, grab bars, toilets, sinks, mirrors and shower glass to accent and define your style of your bathroom. Find functional, beautiful materials for tile flooring and wall-cladding that perform well in wet areas for bathroom, mud-room, laundry or wet-room flooring. There’s no better place than our beautiful Pacific Northwest to enjoy the comfort of heated flooring under beautiful tile floors! Tops Solid Surface offers the newest generation of floor heating systems to keep you toasty and warm on the South Sound’s chilly days. 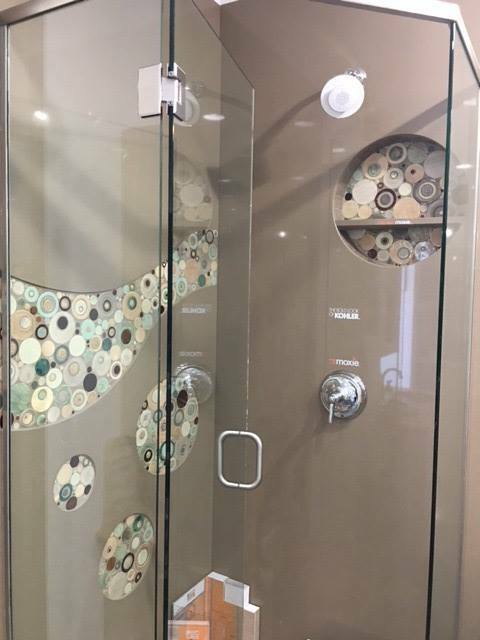 Call Tops today for your free bath, tub or shower design appointment at 360 459-3000, or stop in during our Design Center hours. NEW! 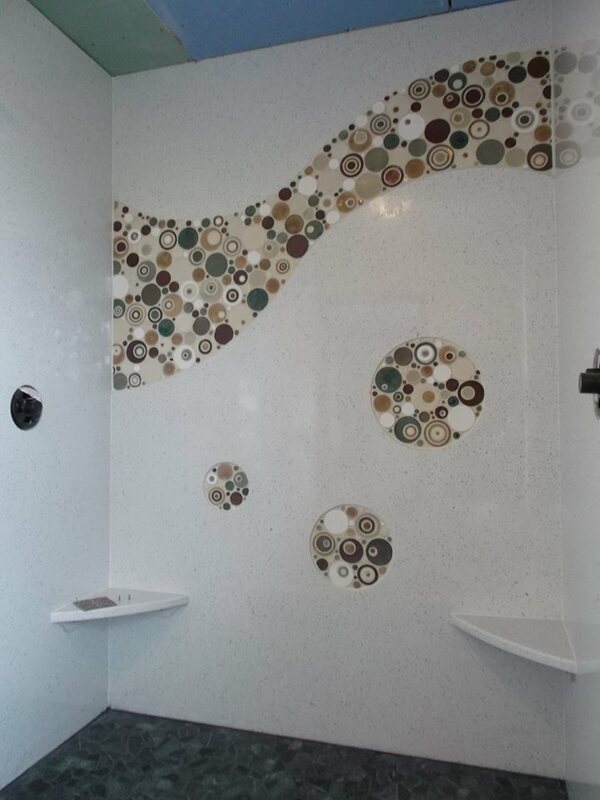 Design with our virtual Online Bath Design tool! Mixing and matching textures, colors and surfaces...how to decide? Our Design Center is a great way to see and feel thousands of options, and our designers have the experience of thousands of bathroom remodels. But to start the process, try our new online Bath Design tool! Tops Design Center is your hands-on bathroom design resource. Our design staff will help you make selections for a bathroom that you'll enjoy for years to come! Come see the full range of design options in our Design Center, or with a free home bathroom design consultation. Call Tops today for your free bath design appointment, or stop in during our Design Center hours. Find bath, tub and shower design ideas in our Bathroom Gallery. We've designed and installed thousands of beautiful bathrooms in in Olympia and the South Sound, from simple bath vanity replacement to spa-like retreats with all the extras. See some of our favorites in Tops Bathroom Gallery.